Taking the wellness world by storm, “floating” has become one of the most sought after relaxation practices in the last decade. Finally, this little island, now a hub for health and wellness, welcomes Terapung Float Club, the first premium flotation centre in Bali , found in the heart of Seminyak. Floating involves entering a flotation tank, sometimes referred to as sensory deprivation tanks or just float tanks, filled with warm water mixed with Epsom Salts, creating a buoyant body of water on which your body will float, similar to the Dead Sea. The aim of the float tank is to restrict environmental stimulation, such as light, sound and tactile sensation. Creating a disconnect of the mind, the thoughts and ideas, from the physical frame, the body. 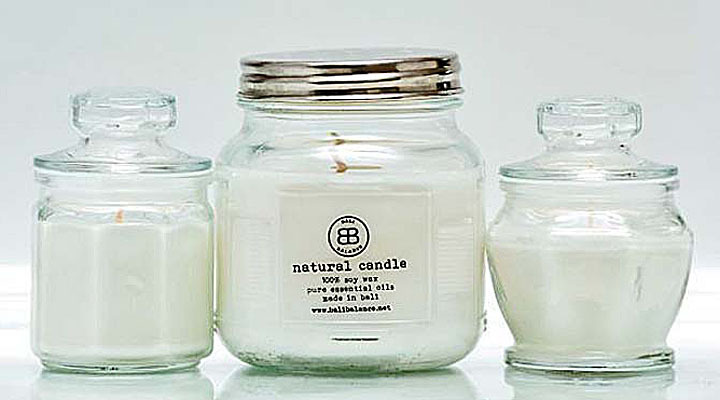 This allows the mind to achieve meditative states of relaxation and introspection. It’s no wonder why float tanks are hailed as the ultimate meditation tool. 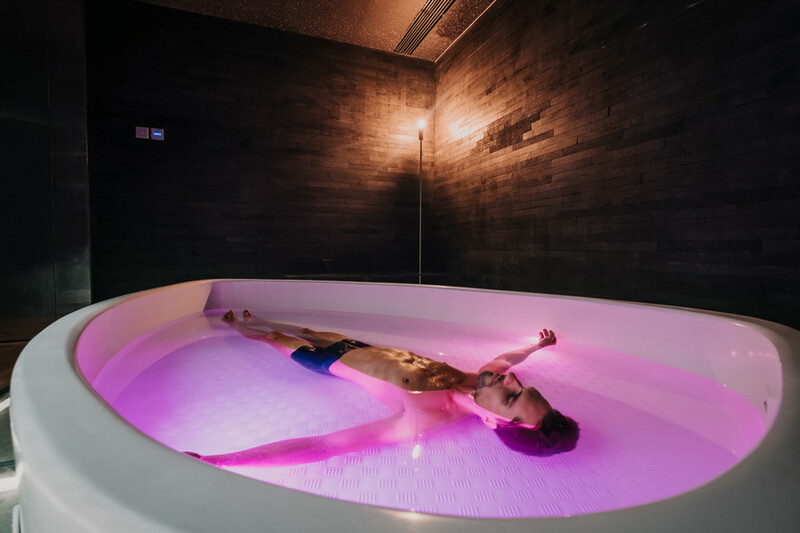 Not only is floating therapeutic for our minds, but it decompresses the whole body, floating in the optimum environment in a beneficial solution the body can fully relax and rejuvenate. What are the benefits of using a Flotation Tank? Floating is a way for people to escape the bustle of everyday life and has been highly effective for people dealing with sleep disorders or high stress environments. The world’s top athletes and stars, such as Stephen Curry, Carl Lewis and even Joe Rogan, use floating not only as a relaxation therapy but also to aid creativity and clarity. The high concentration of Epsom Salts in the water also have profound health effects, from muscular recovery, improving skin and hair care, elevating mood through serotonin production and increasing energy. Terapung Float Club was made as a sanctuary. Found in a design-focused, four-storey building, donning sleek, black volcanic stone bricks, wide glass panels and smooth metal surfaces, Terapung welcomes you into a clean, minimalist environment, helping you to relax upon entry. 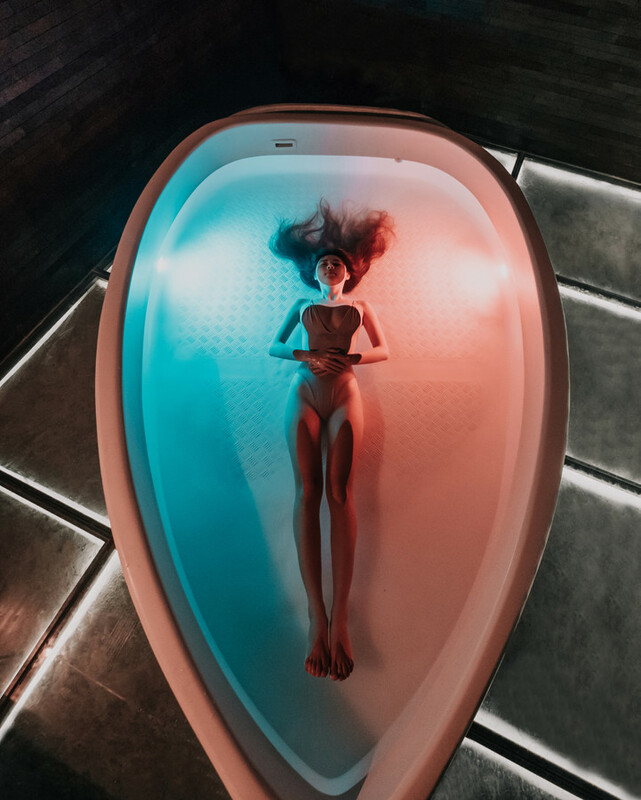 This premium flotation centre in Bali houses 6 individual float rooms, each containing custom made float tanks larger than those found commercially, making it easier for taller individuals to spread out and truly enjoy their experience. These are open top float tanks . 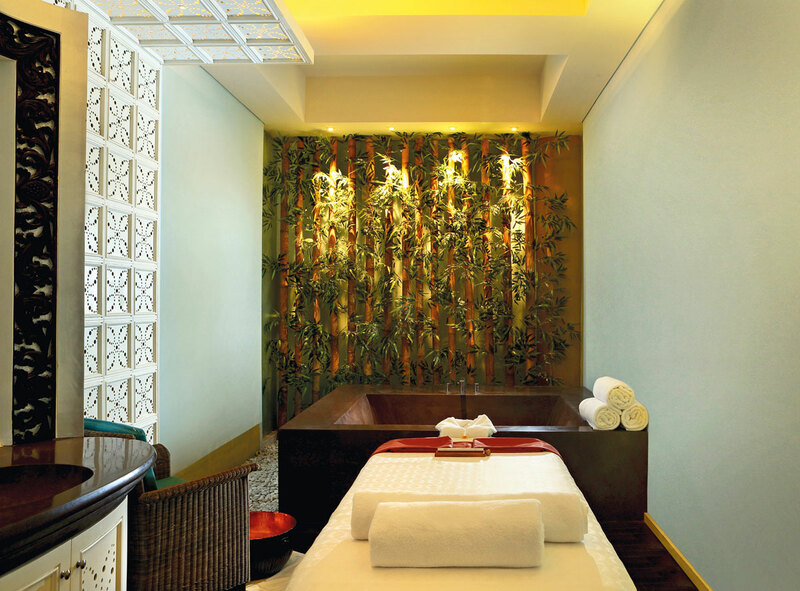 Terapung focuses on a premium flotation experience; each float tank room comes with an en suite bathroom, afterwards you are welcome to enjoy their post-float lounge on the top floor, a peaceful space with a bonsai tree at its centre and open bay windows. 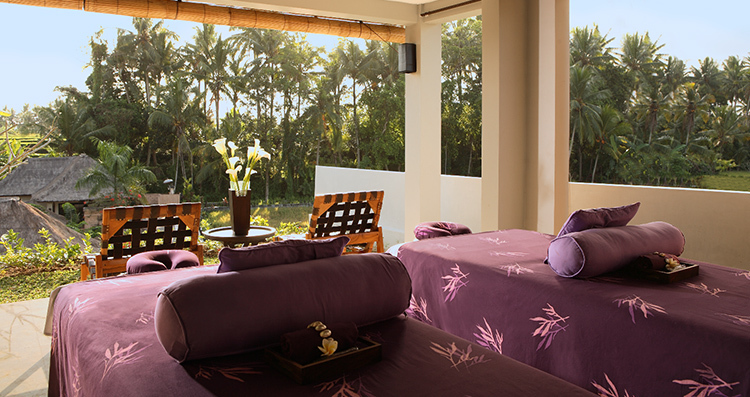 Terapung also has a yoga room, where every morning a dedicated instructor invites you to start your day right. 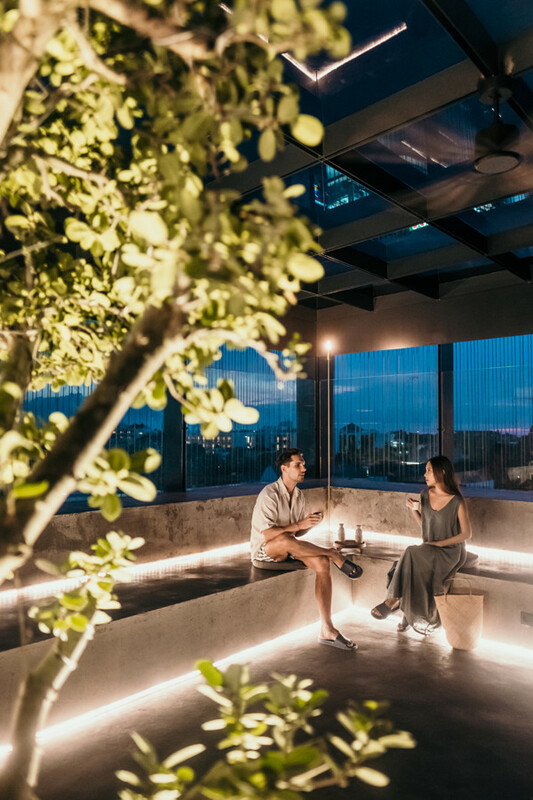 Take a step into the island’s newest wellness destination, experience an hour or more of deep, uninterrupted relaxation in the most superior float tanks in Bali, unwind in their calming space and float lounge before rejoining reality and exploring the island.